As humans, we have a tendency to think of the worst case scenario. A boss looks grumpy and we fantasize about losing our job. We get a call from our child’s school and we imagine a playground accident or possible suspension. A bad headache arrives, and we’re picking out our funeral clothes. However, the catastrophes that we imagine, often never happen. The boss is smiling an hour later, the teacher is calling to let us know that our child is being considered for an award, and the headache is only a headache. We return to a sense of perspective. Unfortunately, when we are dealing with mental health challenges, our sense of perspective can be illusive. Everything feels like an overwhelming crisis. Natalie (age 40) and her wife (Jane) recently separated after being together for 15 years. The decision to end the relationship was mutual, and they are now in the process of working with lawyers on a separation agreement. There are no children involved, making the creation of the agreement fairly straightforward. Natalie has struggled with anxiety and depression throughout her adult life, and been able to manage her symptoms with a combination of self-care and medication. However, even though the decision to separate was amicable, Natalie experienced an increase in her anxiety as she and Jane worked though the process of dividing possessions, deciding on how to tell their friends and family, and many of the other life ripples that come after making a big decision. Shortly after Jane moved out of their house (pending it’s sale), Natalie started to feel as if her body was ‘revving’ all the time–she couldn’t relax or settle to anything. As she felt more overwhelmed, her sleep patterns changed–sleepless nights spent listening to house noises and ruminating on past and future decisions. As time passed, the ‘revving’ morphed into a general fear of the future. It was after experiencing a panic attack (first one in 10 years) while looking at paint colours for her new apartment, that Natalie decided to talk to a therapist. When we pay attention, we can notice that anxiety arrives slowly. It may feel as if we wake up one day ANXIOUS, but looking back we can follow the trail. Even though Natalie had history with anxiety and depression, it’s return wasn’t immediately visible. Instead, her symptoms were lost in the situational stress she was experiencing. When working with clients experiencing anxiety one of the first things we do is start looking for triggers–becoming anxiety scientists. Keeping track of the body sensations, thoughts and emotions that lead to feelings of anxiety. For Natalie, she and her therapist would be exploring the thoughts that proceeded her body “revving”, or the messages that were keeping her up at night. As Natalie worked with her therapist, it became clear that while Natalie’s increased level of anxiety was centred on two areas. The first was situational: her recent separation from Jane, and the resulting major life transitions. The second was Natalie’s fear of her unknown future. What would her life look like now that she was single? She was happy with her decision not to have children when she thought that she and Jane would be together “till death did them part”, but now the idea of being alone for the rest of her life was terrifying! 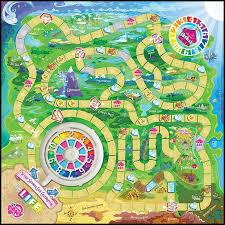 The “So What” game is quite simple in theory, and takes some work. It involves taking the thoughts and worries that are leading to anxiety and basically following their path to their conclusion. As we follow where the path leads, we check to determine how reasonable the thoughts are and if necessary, what is the plan to deal with them. Ruminating about fears of the future…specific fear that she has made the wrong decision in agreeing to end her relationship with Jane…why she is afraid that she made a mistake…if she’s not in a relationship, she will grow old alone. Once we have some content of the fear (it isn’t also so easy to determine), then we can decide on it’s likeliness of happening, and look at a plan. Growing old alone is a normal fear, but in Natalie’s case is it reasonable? There is no reason to assume that Natalie won’t re-partner at some point (if she chooses to). However, if she doesn’t, what’s her plan? Natalie realized that, during her relationship with Jane, she had lost contact with many of her friends and family members. Also, their “couple” friends had originally been Jane’s friends and we now rallying around Jane. Natalie’s feelings of isolation were contributing to her anxiety. Her immediate plan was to reach out to old friends and check in with family members. Natalie also decided that she needed to create a new life for herself. Her future plan is to think about interests she would like to pursue and find communities that support those interests. Anxiety can be related to the fear of the unknown. When we look at what is making us afraid and come up with a plan, we take some control over the situation. 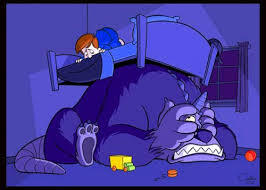 We also gain a sense of perspective as we discover that perhaps our worst fears aren’t as likely as we think that are. When we decide that we can live with the worst, we’re no longer as afraid. Because Natalie had a history of anxiety and depression, her recovery included checking in with her doctor to see if her medication was still appropriate. She also restarted her self-care practice of exercise, breathing exercises and healthy diet. Natalie used the “So What” game every time that she encountered new fears and used the results to add to her plan. Getting over the grief of a lost relationship and doing the work of moving on is difficult, so she was adding self-compassion into her plan. And now….”So What?” from the Great Miles Davis…Enjoy! Recently, I had dinner with two close friends. As the evening progressed, we talked about how sometimes we struggle with negative voices in our head. These are not the kind of voices that tell us to do harm to ourselves or others, but the ones that undermine our confidence and leading us to feel negatively about who we are and what we do. If we’re completely honest, I think that all of us could have the same conversation. Sometimes this voice tells us that we’re not good enough. That it’s only a matter of time before everyone else notices how we’re faking it, and the image of ourselves that we’ve built comes crashing down. Maybe the voice tells us that we’re too thin, or not thin enough. If we were only a better partner or friend, or did thus and so, then our life would be perfect. Once we learn how to (fill in your own words here), then all will be well. We will have made it! We believe that our life isn’t perfect, because we are ‘lesser’ than others. Sometimes we know where ‘the voice’ came from. We recognize the tone or words. In some cases, it belongs to a critical parent or teacher. In others, the voice belongs to a ‘friend’ who really wasn’t a friend. The owner of ‘the voice’ may no longer be in our life, but their messages persist. However, what if they lied? What if we’re good enough the way we are? Why are we so mean to ourselves? We’ve talked about some of the places where our negative messages come from, but why do we continue to believe them? On a basic level, it’s because we continue the behaviours (even negative ones) that serve us in some way. At a recent workshop (Mindful Self-Compassion presented by Diane Frederick), Diane showed this clip of an interview with Dr. Paul Gilbert. Dr. Gilbert is a British clinical psychologist, author, and the founder of compassion focused therapy/compassionate mind training. Gilbert suggests that one of the reasons we don’t give ourselves the benefit of the doubt is because of society’s current fascination with ‘winners’. Dr. Gilbert cites the increase in reality programs where, instead of focusing on the winner—in which there was usually only one or two—we negatively focus on the ‘loser’. Because we’re human, we’re programmed to want to be part of a group. In fact, until fairly recently in our evolution, being excluded from the group meant certain death. No one wants to ‘be voted off the island’! Another reason that we beat ourselves up is that we want to know where we fit in hierarchy. As humans we compare ourselves to others. However, not so long ago, we only compared what we did or had to our close neighbours. Now, through the magic of social media, we can compare to everyone—even if the comparisons aren’t realistic or true. Not only do we get the negative messages from past people in our lives, but now also from mainstream media; and our self-worth suffers in the process. A third reason we continue to be mean to ourselves is that we think it helps us to succeed. If we didn’t have that negative inner voice, we might give in to our baser instincts—eat whatever we want, spend every night devouring the latest Netflix series, or not giving 110% at work. How are we to get ahead in life if we don’t keep trying to improve ourselves? We don’t want to fail. Simply put, when we’re mean to ourselves, we are hurting ourselves. We are both the perpetrator and victim. Our mental health suffers. Anxiety, depression, stress, rumination (negative, repeating thoughts), perfectionism, fear of failure and shame are the outcomes of a habit of ‘beating ourselves up’…and we can choose to do something different! Be mindful of your inner life. We do this by checking in with ourselves throughout the day…especially if you notice physical symptoms (headache, tense muscles or stomach issues). Our bodies are a wonderful barometer of what our mind is doing. Argue with that inner voice. Through mindfulness, once you become aware of how you are being mean to yourself, argue with that voice. One Cognitive Behavioural Therapy method is to question the validity of our negative thoughts. A good way to do this is in writing. Write down the negative statement, then beside or underneath it, list a rebuttal. Keep going until ‘you’ win the argument. At the same time, rather than using an “I” statement, move the statement into the third person (i.e. using your first name). This provides distance and makes it less personal. Imagine that the voice is talking to your best friend or other loved one. Would you say those things to them? You can also imagine yourself as a small child that you are taking care of. Download and use “Ditty”. This app lets you record a negative statement and then pick a funny way to play it back. It’s hard to take a mean message seriously when it’s being said to the soundtrack for “the chicken dance”! Focus on the positive. Some people love to use affirmations, others not so much. If positive affirmations work for you, go for it. Invite the voice in for tea. If arguing with your inner critic doesn’t work, try looking at it with compassion. Sometimes we spend a lot of energy fighting against something. However, once we accept what we don’t like it loses its power. Life is sometimes difficult and the world can be a scary place. We need to be kind to others, and to ourselves…. And now, this beautiful song has become one of my new favourites…Enjoy! If you’ve never had a panic attack, you’re fortunate. And, if you’re curious about the experience, you can try this exercise. 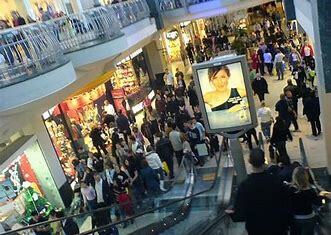 Imagine that you are in a crowded place, perhaps a shopping mall, and you start to feel anxious. This isn’t your ‘normal’ level of anxiety. This feels different. You begin to notice that everything around you becomes “too much”…it’s too noisy, the people too close, the lights too bright, the sounds too loud. As the anxiety peaks, you realize that you’re having trouble breathing. You try to catch your breath, and you can’t. 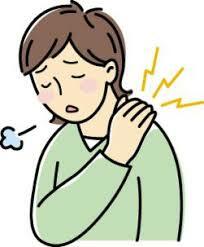 Your chest begins to hurt, you alternate between feeling cold and clammy (then hot and sweaty). You feel dizzy. Your heart races, and you think you’re going to pass out. You start to panic as you think that you are going to die. You have never felt so afraid before. If you’ve never had this happen before, you may find yourself at a hospital emergency room because you are sure that you’ve had a heart attack. After hospital staff check you out, you learn that you’ve had a panic attack. While many people experience anxiety (sometimes at a severe level), panic attacks are often the experience that brings them to see their doctor, therapist or both…and you’re not alone. According to Government of Canada data, one in ten Canadians suffer from an anxiety disorder–panic attacks being one of them. Unfortunately, like most mental health issues, it’s not something that people like to talk about. So, when I discovered author, Matt Haig, I was delighted. Matt is the bestselling author of Notes on a Nervous Planet. Matt also shares, in his many books, his experience of having mental health issues…including a panic disorder, anxiety and depression. 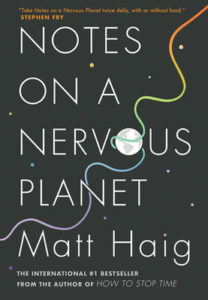 In “Notes” he describes the connection between the rate of change in our planet (through technology, media, personal interactions) and our mental health. More importantly, he shares his coping strategies from the perspective of someone who has been there. Throughout his book, Matt Haig talks about the role that self-care has played in his recovery and maintenance of mental health. So, I share with you, Matt’s tips for avoiding panic attacks. How to exist in the 21st century and not have a panic attack. Keep an eye on yourself. Be your own friend. Be your own parent. Be kind to yourself. Check what you are doing. Do you need to watch the last episode of the series when it is after midnight? Do you need that third or fourth glass of wine? Is it really in your best interests? Declutter your mind. Panic is a product of overload. In an overloaded world we need to have a filter. We need to simplify things. We need to disconnect sometimes. We need to stop starring at our phones. To have moments of not thinking about work. A kind of mental feng shui. Listen to calm noise. Things that aren’t as stimulating as music. Waves, your own breath, a breeze through the leaves, the purr of a cat, and best of all: rain. Let it happen. If you feel panic rising the instinctive reaction is to panic some more. To panic about the panic. To metapanic. The trick is to try to feel the panic without panicking about it. This is nearly–but not quite–impossible. I had a panic disorder–a condition defined not be the occasional panic attack but by frequent panic attacks and the continuous hellish fear of the next one. By the time I’d had hundreds of panic attacks I began to tell myself I wanted it. I didn’t, obviously. But I used to work hard at trying to invite the panic–as a test, to see how I could cope. The more I invited it, the less it wanted to stay around. Accept feelings. And accept that they are just that: feelings. Don’t grab life by the throat. “Life should be touched, not strangled,” said the writer Ray Bradbury. Be aware of where you are. Are your surroundings over-stimulating? Is there somewhere you can go that is calmer? Is there some nature you can look at? Look up. In city centers, the tops of buildings are less intense that the shop fronts you see at head level. The sky helps, too. Stretch and exercise. Panic is physical as well as mental. For me, running and yoga help more than anything. Yoga, especially. My body tightens, from hours of being hunched over a laptop, and yoga stretches it out again. Breathe. Breathe deep and pure and smooth. Concentrate on it. Breathing is the pace you set your life at. It’s the rhythm of the song of you. It’s how you get back to the center of things. The center of yourself. When the world wants to take you in every other direction. It was the first thing you learned to do. The most essential and simple thing you do. To be aware of breath is to remember you are alive. Panic disorders don’t have to be a part of your life. There are many things you can do; including self-care tools, mindfulness practices and medication. If you’re looking for a breathing exercise/meditation that can help to calm down your anxiety level, a free download is available on my website. And now…if you want a reminder of how we’re meant to breath, here’s a good teacher. Enjoy! For some reason, the topic of patience has come up a lot lately in conversations with family members, colleagues, clients and friends. I’m not sure if it’s because we were coping with the rush to prepare for Thanksgiving, the fact that many of us spent time with seldom-seen family members for the holiday, or because the novelty that is “September” is over and we’re into routines. Whatever the reason, we seem to be bemoaning a lack of patience–for others, for ourselves, for life. We talk about patience all the time. We often advise our children to have patience. But what is it? The Oxford on-line dictionary defines ‘patience’ as “the capacity to accept or tolerate delay, problems, or suffering without becoming annoyed or anxious”. While this description may apply accurately apply to our experiences around the Thanksgiving dinner table, I don’t think it’s what we’ve been talking about. Instead, the context of the ‘patience’ that I’m hearing about has to do with the ability to wait. How do we cope when things are not happening as quickly as we would like, or think they should? We live in a very fast-paced world. With each new technological development we expect that we’ll be able to accomplish things quicker than ever before. For example, I remember when communicating with others far away involved sending a letter or paying for an expensive phone call. We didn’t expect quick responses, and there was a sense of anticipation about receiving one (delayed gratification). Now, with ‘instant everything’, we’ve lost our ability to wait. 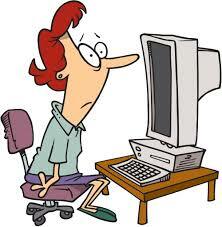 In fact, we get anxious if we haven’t received an immediate reply to an email or text (instant gratification). We are in a state of hyper-drive all the time. Some things take time. Their progress can’t be rushed. Take an oak tree…we can provide the acorn with the best nutrients and elements it needs to grow, but we can’t make it grown any faster. The same restrictions apply to the growth of a child, relationship, business or learning a new skill. 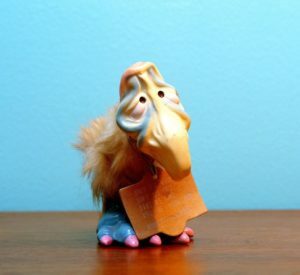 In fact, when we try to rush some things, the results can be hard to manage at best, and disastrous at worst. According to medical knowledge, losing more than 1 kg a week isn’t a good idea. Think tortoise rather than hare…weight loss is more healthy and successful when the progress is slow and steady. When we jump down two sizes in two weeks, chances are that we’ll be back up three sizes in six months. Managing this up and down, is difficult and ultimately hazardous to our health. When we think about relationships, not giving them time to develop can be dangerous. According to Bill Eddy, LCSW, Esq., and Megan Hunter, MBA–authors of Dating Radar: Why Your Brain Says Yes to “The One” Who Will Make Your Life Hell; one of the warning signs at the beginning of potentially unhealthy/dangerous relationships is that they move very quickly–‘love at first sight’. By not taking our time in a new relationship, we don’t allow ourselves to get to know someone in different ways, allowing us to spot potential problems. Sometimes it takes hard work (and self-compassion). One definition of patience is the ability to persevere. To me, this means endurance. To keep going when it gets tough. To ignore the siren song of instant gratification and hold steady for the rewards that comes from waiting, struggling, falling down three times, and getting up four. However, when we are in pain, discouraged or exhausted; this is easier said than done. Enter self-compassion. When we are attempting to do something difficult, and it’s not going as quickly or well as we’d hoped, these feeling are normal. Why would we feel anything else? This is when we get to take care of ourselves. Recognize the challenge of what we are attempting. Forgive ourselves for what we see as our failings. Take a time-out for self-care so that we can come back tomorrow with renewed energy and endurance. When we are dealing with a mental health challenge, having patience is really hard. We’re in mental pain that often translates into physical pain because our mind and body are connected. Sometimes people come into therapy thinking that they’ll feel better immediately and get progressively better from there. They believe that therapy is somehow magical! Sorry to disappoint, but therapy is hard work. It’s often two steps forward and one step back. There is progress, and it takes time and work. Let’s look at anxiety. When a client starts working on anxiety, we look at ways to decrease their discomfort level through the use of breathing exercises (see here for a downloadable version), changes than can be made to improve diet, exercise, sleep patterns, and social interactions. It takes time to see results from these activities, and persistence in practicing them. At the same time, we are looking at thought patterns and body sensations that trigger anxious moments. Like a scientist observing a phenomenon, we are collecting data. The more information we have, the better, personally-focused tools we can create. This process requires the client to have patience and be willing to continue to tolerate discomfort and trust that their hard work will pay-off in improved mental health. Sometimes the search for patience is like looking for the mythical unicorn. However, unlike the unicorn, patience does exist. We all have it, and like a muscle it requires regular use to make it stronger. Here are easy ways to flex that muscle! Send someone a letter and ask them to ‘write’ back. You can even provide the stamp! Allow yourself extra time to get somewhere. This will make you feel less rushed and give you the opportunity to show patience to others. Send someone a text and then mute your phone. See how long you can go before checking to see if they responded. Sit with discomfort. Watch it. See how long it lasts. What does it feel like mentally and physically? Don’t give in to instant gratification. See how long you can hold out! Find positive distractions. And now…here’s some wisdom on this topic from Amanda Lambert…. Enjoy! Art Therapy and Mental Health…Have you Doodled Today? As we look for ways to improve our mental health, mindfulness exercises such as colouring seem to be gaining in popularity. The following post from the archives speaks to this, as well as giving an exercise to try. Enjoy! If you have been out in the world over the past year, you may have noticed the increase in the number of adult colouring books for sale. They are everywhere! You can pick one up when buying your groceries, refilling prescriptions or waiting for your flight at the airport. They cover a range of topics, disciplines, genres, moods, spirituality and life events. In the October 2016 issue of Psychology Today, Emily Silber reports that an estimated 12 million colouring books were sold in the U.S. in 2015, up from 1 million in 2014. When reflecting on the growth of this popular item; Silber quotes clinical psychologist, Ben Michaelis, who suggests that “even if colouring does not help people process negative feelings directly, it may a least offer an effective form of relief”. 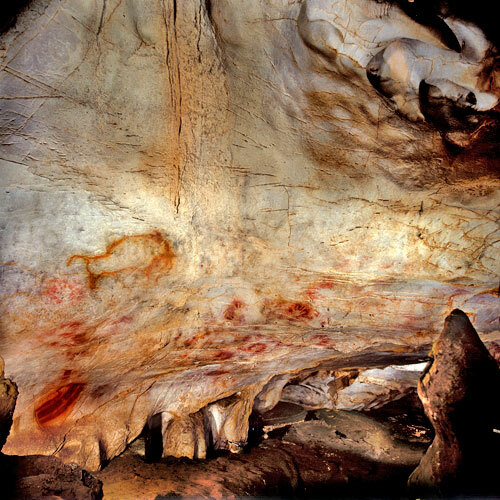 While art has been used since the beginning of human history as a way to share thoughts and ideas–the oldest cave painting was found in the El Castillo cave in Cantabria, Spain and dates back 40,000 years to the Aurignacian period–art therapy, as we know it, didn’t really start until the 1940’s. The original art therapists were artists who recognized the value of creation on their own mental health, and chose to share the creation process with others. 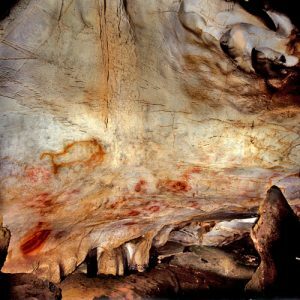 If you are interested in a detailed history of art therapy, you can check out Art Therapy Journal for a wealth of information. But What If I’m not Creative and Can’t Draw? While I am not an art therapist, in the past, I sometimes suggested a ‘drawing practice’ to clients–especially if they were working with anxiety and/or depression–as a way to calm their thoughts and shift their focus. One of the most common responses that I heard was “I can’t draw” or “I’m not creative”. The idea of being forced to create ‘art’ increased rather than decreased their level of anxiety. So, instead I started suggesting a ‘mandala practice’. 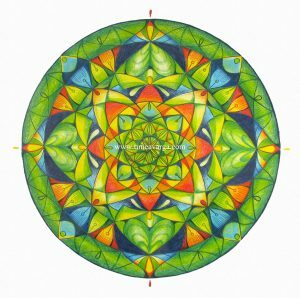 What is a Mandala and How Do I Practice It? Mandalas have been with us for a long time. The word ‘mandala’ is Sanskrit for ‘circle’. In Hindu and Buddhist traditions it is a graphic symbol for the universe. Famous mandalas in the Christian tradition can be seen in the Celtic cross and rose windows. In some traditions they have been used as part of meditation practices and some people believe that they have magical properties. 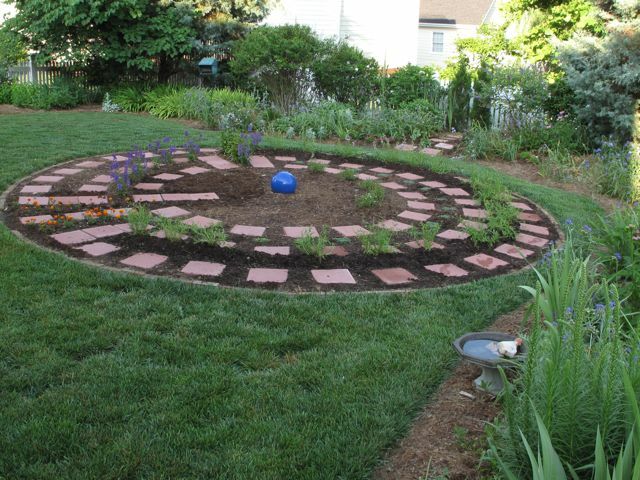 In fact, meditation paths are often built to form a mandala. For people who don’t feel that they are creative (everyone is, whether they realize it or not!) or think that they can’t draw, a mandala practice is ideal as it is unstructured and free-form. The practice doesn’t require a large outlay of cash for art supplies or take up a lot of space. All that is required is a blank piece of paper, pen or pencil, pencil or regular wax crayons and a drinking glass or pot lid. Intrigued? The way of this practice is to do it daily–similar to meditation practice or breathing exercises. 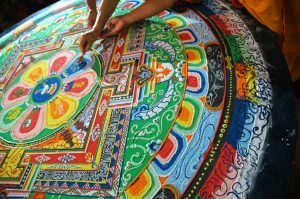 Besides being an enjoyable activity, there are many benefits to creating mandalas on a daily basis. 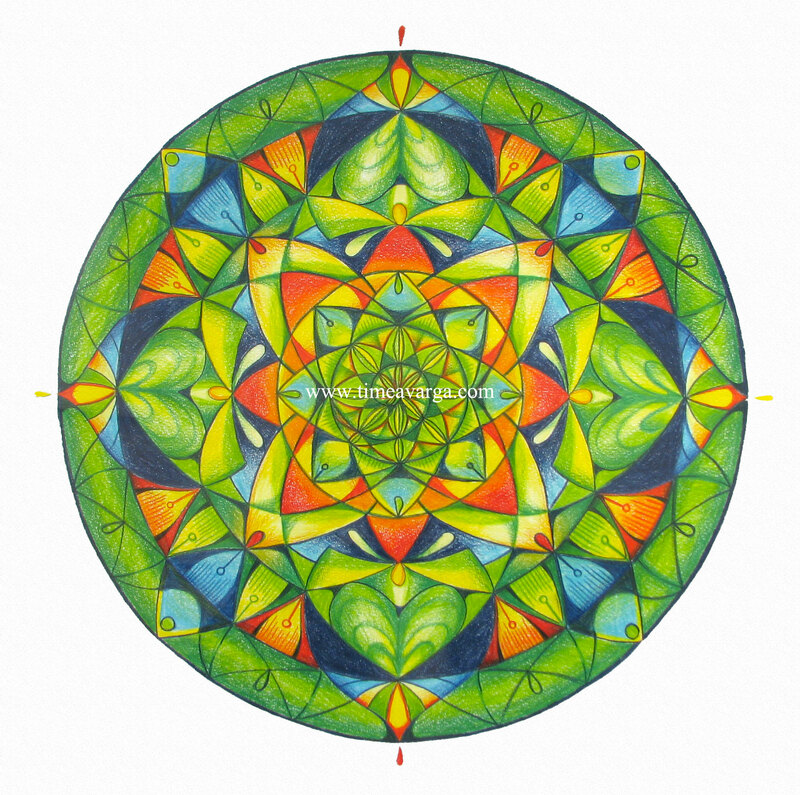 It is a way to step into mindfulness as you focus on the act of making your own mandala. As you work, you may notice your thoughts slowing down. As you engage the decision-making part of your brain, the emotional part of your brain may experience a sense of calm. Clients have reported feeling a sense of accomplishment when they complete their mandala. You are giving yourself the gift of a ‘time-out’. There is no right or wrong way to do this practice–the value is in showing up. It can take as much time, or as little, as you like. Assemble the necessary tools (pen or pencil, blank paper, pencil or wax crayons, pot lid or glass) and find a comfortable place to work. Empty out the box of crayons where you can see all the colours and easily reach them. This is easy if when sitting at a table. Take a minute and appreciate the range of colours. Think about the colours that you are drawn to and those you shy away from. Take a deep breath. Using the pen or pencil, on the blank sheet of paper, trace around either the glass or pot lid. The goal is to have a circle of a size that you are happy with. Look at the selection of crayons, and without over-thinking it, choose one that appeals to you. Using that crayon draw a shape inside the circle. It can be anything you chose. When you feel that the shape is complete, stop and return the crayon to the pile. Take a deep breath. Select another crayon and either add to the shape, or create another shape inside the circle. Continue Step Three, until you feel that your mandala is complete. Again, don’t overthink it. You’ll know when it’s finished. The circle may be filled, or it may only have one or a few items in it. Initial and date the mandala and file it way. When you develop a regular practice, over time, you will have a collection of mandalas. It is often interesting to look back over the series (several months’ worth) to see how the drawings, colour choices and subjects have changed. As well as having my own mandala practice, I have been fascinated by the Tibetan practice of making sand mandalas. Their creation and destruction can be viewed as the ultimate expression of impermanence and love for the benefit of others. Below are two clips showing this amazing act of creation. The first gives a sped-up overview of the process. The second shows the process in more detail. Trying Something New? Expect Some Anxiety! It’s September, and if you live in Ontario, we’ve just finished the first week of a new school year. If you are a student (no matter your age), it means new teachers, new subjects and maybe a new school with the potential for new friends. For non-students, the beginning of September brings the end of summer and the return to old routines, or creation of new ones. In fact, many people see Labour Day as a more accurate indicator of a ‘new year’ than January 1. And…all this ‘newness’ can lead to anxiety. Elaine had never traveled on her own before, but when she was given the opportunity to meet a friend (Karen) in Germany, she immediately said yes. The thought of travelling alone scared her a bit, but as the trip was 6 months away she ignored any anxious thoughts that popped up. Excitedly, she booked her flight. In order to safe money, she booked an indirect flight to Frankfurt. During the following months, the women planned that Elaine would rent a car and drive to the small town where Karen was staying. As the date of the trip drew closer, Elaine started to become anxious. She had her flights in place, and now she had to think about everything else. Her brother (Brad) helped with booking the car rental, so that was taken care of. 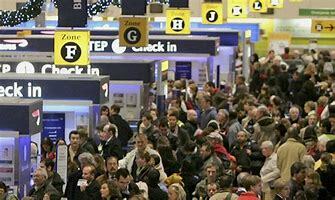 However, when Elaine thought about what was causing her the most anxiety, it was the actual travel experience. What if she was late for her flight? What if she couldn’t find her gate at the airport? Once she landed, how would she find the car rental place? When she booked her flight, she didn’t think that a two-hour stop-over in Chicago was a big deal. Now she wasn’t so sure. What if she missed her connecting flight? Elaine was starting to wish that she hadn’t agreed to visit Karen. She wondered if it was too late to invite another friend to join her. No matter the time of year, while novel things can be exciting as they move us out of our comfort zone, they can also promote anxiety. In fact, sometimes it’s hard to distinguish between excitement and anxiety as they can feel the same way in the body–tummy butterflies, repetitive thoughts, sweaty palms. So how do we know the difference? It’s the internal dialogue that shows us the difference. When we look at Elaine’s story, she was excited when she approached by Karen and decided to go on the trip. She wasn’t ruminating about what could go wrong. Instead, she recognized that she hadn’t traveled alone before, and was able to put the ‘what if’ questions aside. We often think about stress as a bad thing…and chronic stress does have negative effects on our minds and bodies. Chronic stress happens when we are living in conditions where we have little or no control over a difficult situation (at work or home) and it continues over a long period of time. Our bodies react by increasing our levels of cortisol that eventually wreaks havoc with our adrenal system…possibly leading to adrenal fatigue and depression. Generalized anxiety is the first step down this path. “Good” stress is something different. Good stress is paired with excitement. We experience good stress when we are pushing ourselves to try something new–moving into our growing edges. 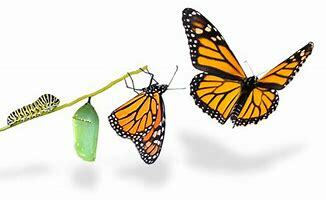 As a wise mentor once told me…”growing edges are meant to help us move to a next level, not break us!”. While Elaine was thinking about cancelling the trip, Karen (who didn’t know about Elaine’s anxiety) was sending her pictures of where she was living and ideas of things they could do when Elaine arrived. Elaine started to feel ambivalent…she wanted to take part in the exciting plans, and was afraid of what it would take to get there. Plus, she didn’t want to lose the money she had paid for flights, or disappoint her friend. Elaine decided that she needed to come up with a plan. Elaine’s first step was to ask for help. Talking to Brad, she learned that what she was feeling was normal. Brad shared with her that the first time he traveled alone he was terrified…especially as he was travelling to a country where English wasn’t the first language. Brad explained that his plan was to think about what could go wrong with the goal of putting safety factors in place. She spoke to service providers who were able to answer her ‘what if?’ questions. She found maps of the airports she would be using and learned how to get where she would need to be. Elaine was able to speak to a car rental employee who gave her detailed directions to get to where the office was located, and offered the use of a GPS as an upgrade. Google Maps provided backup directions in case the GPS didn’t work. Using Google Earth, she found visuals of her route. Finally, Elaine let Karen know about her anxiety. Even though Karen offered to meet Elaine’s plane, Elaine was confident in her plan and excited to see if she could do it on her own. Our lives are enriched when we try something new–whether the new thing is pushed on us or we choose to branch out. So here are some ways to make the growing edges easier. Be patient with yourself. If possible take baby steps. You can do this by breaking the new experience into manageable steps. For example, if Elaine could have tried travelling on her own by taking a smaller/shorter trip. 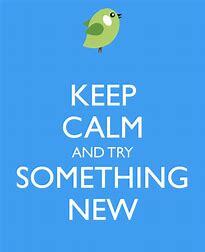 Remember past successful experiences of trying new things. Chances are that you have tried something new before and enjoyed it. Use those memories to decrease anxiety when it shows up. Plan ahead. Follow Elaine’s example and map the potential new experience into as many detailed steps as you need. You’re not thinking about the ‘what if’s’ as an exercise in worry, but as the items for an action plan. Recognize that anxiety in this situation is normal. Are you feeling anxiety or excitement? Both are normal, and anxiety is a matter of degree. A bit of anxiety is normal, but if it’s getting in the way of doing what you want to do, or becoming a constant companion, it’s gone overboard! In moments of anxiety, breath. You can find a downloadable breathing exercise here (at the bottom of the page), to help cope with anxious feelings. So here’s to trying new things! And now…speaking of air travel…here’s some vintage Frank Sinatra. Enjoy! Thinking about improving our mental health can feel overwhelming–especially when we’re under the influence of negative emotions such as anger, sadness or anxiety. However, there are a few simple things that you can do in the moment that can help…and, if you practice these things on a regular basis, you may see an improvement in your overall well-being. So, what are they? As humans, we are under a lot of stress. Our stress levels encourage us to be ‘shallow’ breathers–instead of taking deep breaths; we take short, shallow breaths. If we pay attention, we may notice that most of our inhales barely make it past our collar bone! This way of breathing encourages panicky feelings as we’re not getting enough oxygen to our brains–it’s as if we’re hyperventilating. If that’s our normal, how should we breathe? Have you ever watched a baby breathe? They naturally ‘tummy’ breathe…slow, deep, relaxed breaths. Tummy breathing helps to calm the nervous system, which puts the breaks on the ‘fight, flight or freeze’ response. You can practice this type of breathing by gently placing your hands on your stomach and inhaling until you feel your tummy rise and fall. If you are interested in practicing your breathing as a way to cope with difficult emotions, a meditation/breathing download is available on the Welcome Page of Blaikie Psychotherapy. The exercise takes 20 minutes and includes instructions. Are you familiar with the ‘hang over’ from a greasy, high-fat, calorie-dense meal? I know that I am! If I have made a stop at my local fast-food palace as a way to cope with negative feelings, I can pretty much guarantee that I won’t feel better afterwards. Our brains and bodies are connected. There is now a branch of science called Nutritional Psychiatry that looks at the effects of food on our mental health. Scientists are recognizing the interplay between mental health and a healthy gut (the microbiome). When we provide our bodies with healthy nutrients, we are encouraging brain health. This article from the Harvard Medical School explains how eating a diet high in vitamins, minerals and antioxidants helps to increase serotonin levels in the brain. Serotonin is a neurotransmitter that helps regulate sleep and appetite, mediate moods, and inhibit pain. So, if you’re feeling down, grab an apple instead of a doughnut! We have known for a long time that exercise is a good way to improve our mood. There’s nothing like a good stomp around the block after an argument! The great thing is that it doesn’t have to be a big deal…just 150 minutes of moderate exercise a week will provide benefits. While 150 minutes may sound like a lot, it’s only a 20 minute walk per day. And the 20 minutes can be spread out over the day…park the car a bit farther from where you’re going…take the stairs when possible…hit replay on your favourite tune and keep dancing. When we’re mindful of ways to increase our amount of movement, it’s easy to find 20 minutes. Not only can we add 20 minutes of movement into our day, we can do it outside. While spending time in a forest or at a lake is ideal, the benefit is in getting outside. Is there a park or other green space in your area? What about your backyard? A recent trend called “Forest Bathing” encourages us to benefit from the healing properties of trees. According to a CTV News article, the forest bathing movement is all about immersing oneself in the healing properties of trees and plants. 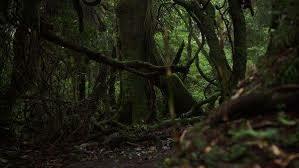 It involves simply walking — quietly, slowly and deliberately — in a forest, and taking in the sounds, scents, colours, forms and general vibe of nature. The concept is inspired by the Japanese practice of shinrin-yoku, which translates to “taking in the forest atmosphere.” The certified forest therapy guide quoted in the article stated that “studies in Japan and Korea found forest bathers after their walks had an increased number of “natural killer cells,” immune system cells that combat disease and may even help prevent some kinds of cancer. The researchers believe natural killer cells are boosted when people breathe in organic compounds called phytoncides released by trees.” Apparently, forest bathing helps to lower cortisol levels, thereby lowering your stress levels. If you’re curious about nature therapy or forest bathing, you can read more about it here. We’ve all heard the advice about counting to 10 before losing our temper, and for a good reason as it often works. However, sometimes we need more than that. When we get overwhelmed by big emotions like anxiety or anger, our limbic system (or lizard/emotional brain) is over-stimulated. This means that the logic part of our brain (pre-frontal cortex) is not in charge. By counting, which is a ‘thinking’ activity, we put that part of our brain back in the driver’s seat, and we stop the flooding of emotions. While counting our breaths may help, it can be more helpful to count something that is external to us. One suggestion that I often give to clients is, when needed, look at what is around and find something to count. In a meeting room?…count the number of pens or paperclips on the table. In a store?…How many items are on the rack or shelf in front of you. At home?…Count the number of books on a shelf, spots on the carpet, dust bunnies on the floor. Outside? Count trees or cars. We can always find something to count. One of the signs of depression is self-imposed social isolation. We don’t feel like interacting with other people, so we don’t. The more we keep to ourselves, the deeper we fall into our negative thoughts and the less we want to spend time with others….and the pattern repeats. I’m not talking about the bigger problem of a chronic lack of friends, but the turning away for others. Social interaction is important for our mental health. We are social creatures and need contact with others. So make a point of talking to at least one person during your day…maybe it’s the person who makes your coffee or tea…smiling at someone who crosses your path…asking a co-worker about their plans for the weekend. It doesn’t have to be deep, just a sharing of humanity. This post provides 6 simple ways to improve your mental health. However, if you are dealing with a significant mental health challenge, these may not be enough. If you would like to get in touch to talk more about what you are experiencing, you can reach me through my contact page. And now, since humour is also good for mental health. Here is some classic Monty Python. Enjoy! The following content is a summary of information contained in The Cancer Survivor’s Companion: Practical ways to cope with your feelings after cancer by Dr. Frances Goodhart and Lucy Atkins. While the book is from the perspective of cancer patients, I believe that much of the information on worrying is applicable to all of us “worriers”. We all worry. It’s part of being human. But if we look closely at a worry, what is it? How does it work? What is it made up of? How do I cope with it? Can I make it go away? One way of dealing with a challenge is to intimately understand it–so let’s dissect a worry and see what makes it tick! Finances…health…job…family members…what others think of us…I bet that we can all give a list of what the topics that we worry about, but what actually is a worry? Goodhart and Atkins define a worry as “a natural, instinctive, human response to a perceived threat”. When we worry, we are afraid that something negative is going to happen. Worries are future-driven. While worrisome thoughts may cross our minds, worrying becomes a problem when we can’t stop and begin to ruminate on specific ideas. These thoughts start to take over all of our brain space to the point that we can’t think about anything else. When worrying becomes out of control, we can’t determine between big and small things to worry about–we worry about them all equally. Our sense of perspective is gone. Worrying is such a common, human experience that you can buy something to do your worrying for you. A Worry Bird! They also come in a charm bracelet version, so you can take it with you! There are four parts to a worry: thoughts, behaviour, feelings and body sensations. They are all inter-related and play off of each other. A body sensation (perhaps a muscle spasm or stomach ache) triggers a thought about a threat which leads to feelings of fear. This fear may then cause us to stop what we’re doing and focus on the subject that is worrying us (I’m getting sick or my boss wants to get rid of me…), then we’re off to the worry races. The key to coping with a worry is to learn to handle each of it’s parts: thoughts, behaviour, feelings and body sensations. When we can do that, we can break the cycle and decrease the control that worries have over our lives. 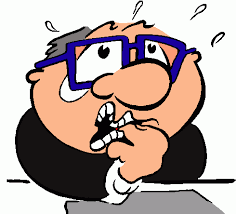 One of the ways to get a handle on worry behaviour is to treat it like a science experiment. The more we know about an activity, the better able we are to change it. When you find yourself caught in a worry, pay attention. When did the worry start? What were you doing at the time? Was the trigger a feeling, action, body sensation or thought? As we gather more information, we can start to see trends and triggers. For most of us, the worry trigger is our thoughts that are fed by thought traps. Here are some common thought traps that lead us down the path of worrying. Fortune telling: None of us are able to predict the future. When we make negative assumptions about what will happen, we are giving in to worry. Selective thinking: When we only remember the negative parts of an interaction or situation and forget the positive parts, we are falling into the trap of selective thinking. Now that we have gathered information, what’s next? One you know your triggers, you are on the way to getting the upper hand on your worry. Write down your actual thought. Compare the thought to any of the thought traps listed above. 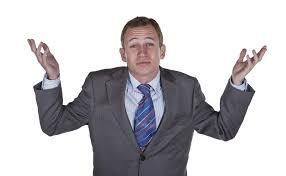 Problem solve about what you can do, if your actual worry became real. Being able to do this exercise takes practice, so in the beginning you can work with someone your trust. Slow your breathing–counting your breaths as you breath deeply is a useful technique. 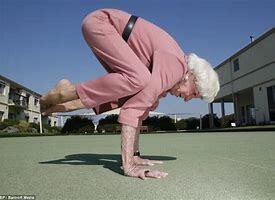 Exercise–go for a walk, dance around your room, do a few yoga poses–anything that will help to release the energy surge that often accompanies worrying. Relaxation techniques. There are many guided relaxation exercises on-line. Check out this link for an example. Here’s a method for dealing with negative feelings. 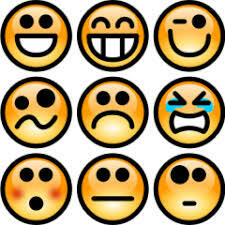 Feelings are energy–they arrive, peak, and subside. When we can recognize their pattern, we can practice sitting with them until they move on. For example: When a feeling of fear arrives, try not to get hooked into the ‘story’ of the fear, but watch the ‘fear’. What does fear feel like in your body? Do you feel hot or cold? Does it sit in a particular part of your body that leads to a negative body sensation? If you don’t feed your fear with thoughts, how big does it get? How long does it last? Over time, you will be able to ‘ride the wave’ of feelings/emotions. Sometimes a worry begins with an action. For example, if you are coping with an illness, researching information on the internet may trigger worries about possible diagnosis or outcomes. Once you know what the triggering behaviour is, you can avoid the behaviour when possible. While worries are a fact of life, but they don’t have to let them control us. We can get the upper hand! And now…some classic Bobby McFerrin…enjoy! As parents, we want the best for our kids–to be happy and healthy–physically, emotionally and mentally. It can be heart-breaking when we see them suffer and unable to enjoy all that life has to offer. One of the ways that children can struggle is with anxiety. Simply put, anxiety is the fear of what might happen. We experience a trigger such as an invitation to a party. Our social anxiety ramps up. As we imagine ourselves standing tongue-tied and lonely on the edges of the party, the emotional centre of our brain becomes activated, stimulating the fight, flight or freeze reaction. Next thing we know, we’re having a full-blown anxiety or panic attack. Anxiety is a condition that can make our world become very small as it is a condition of “avoidance”. When we have been anxious in one situation (e.g. a large party) we seek to avoid similar experiences in the future (no more parties!). The more anxiety-producing events there are, the more we start to avoid things. Untreated anxiety can lead to depression. In extreme cases, we may become afraid to leave our homes due to the fear of anxiety or panic attacks. While we can think of anxiety as being a ‘grown up’ challenge, according to the website anxietybc, anxiety is one of the most common mental health concerns for children and adults, affecting upwards of 20% of children and adolescents over their lifespan. The good news is that childhood anxiety is very treatable. With support from parents, teachers, family members and therapists; anxious children can learn ways to cope with their anxious thoughts and develop new patterns of behaviour around triggers. It can be difficult to admit that your child is struggling. However, if your child is showing any of the following behaviours, they may be suffering from anxiety. If your child is dealing with anxiety, it is not a reflection on your parenting. There are many reasons why children can be anxious. Please don’t take your child’s anxiety personally. As parents, we sometimes hope that the negative behaviours that our children are showing are ‘just a stage’ and that they will ‘outgrow’ them. Unfortunately, due to their nature, untreated anxiety issues become worse over time. Unlike adults, young children don’t have the language or concepts around anxiety to explain what they are experiencing. They can begin to think that they are different from their peers, while at the same time not understanding why they feel unable to take part in the same activities as others. These feelings can lead to a lack of self-esteem and the confidence that comes from mastering new situations and skills (social, mental and physical). What’s a Parent or Caregiver To Do? As the most important person/people in your child’s life, there are lots that you can do. The Anxiety and Depression Association of America suggests the following ideas for parents to do at home to help their child to cope with anxiety. There are many resources to help parents and caregivers as they support their children. Websites such as WorryWiseKids and AnxietyBC provide a wealth of information as well as links to other useful sites. Depending on your child’s age and school district, schools usually have access to on-site social workers, child and youth workers and other specialized staff members who are experienced in helping children with anxiety issues. 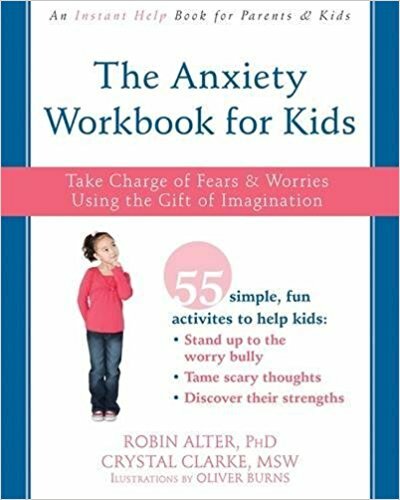 A wonderful, child-friendly workbook for parents and children is The Anxiety Workbook for Kids: Take Charge of Fears & Worries Using the Gift of Imagination by Robin Alter, PhD, CPsych and Crystal Clarke, MSW, RSW. Divided into chapters, this book covers everything from explaining anxiety and the brain to how our body reacts to anxiety and coping skills. It also helps children to identify their own triggers and gain mastery over them. Sometimes, your child’s teacher or social worker will suggest that they see a therapist. When looking for a therapist for your child, check to see that they have experience working with children as this requires a different skill set than working with adults. Depending on the age of your child, they may do well with a therapist skilled in Play Therapy. At the end of the day, we want our children to feel better as they grow and enjoy their family, friends and activities. The 2015 movie Inside Out is one of the bests movies I’ve seen to help children understand feelings. Here’s a clip…Enjoy!